For this production we have 95 young actors. To accommodate the growth, we’ve added two additional classes, as well as two additional performances. Creating separate casts will allow each child the chance to shine on stage. Palatine Youth Theatre presents four performances of Willy Wonka, Jr. at Cutting Hall Performing Arts Center, 150 E. Palatine Road, Palatine. The delicious adventures of Willy Wonka’s chocolate factory light up the stage in this captivating adaptation of Roald Dahl’s fantastical tale. Enigmatic candy manufacturer Willy Wonka stages a contest by hiding golden tickets in five of his scrumptious candy bars. Whomever comes up with these tickets will win a free tour of the Wonka factory, as well as a lifetime supply of candy. Four of the five winning children are insufferable brats, but the fifth is a likable young lad named Charlie Bucket, who takes the tour in the company of his equally amiable grandfather. The children must learn to follow Mr. Wonka’s rules in the factory – or suffer the consequences. 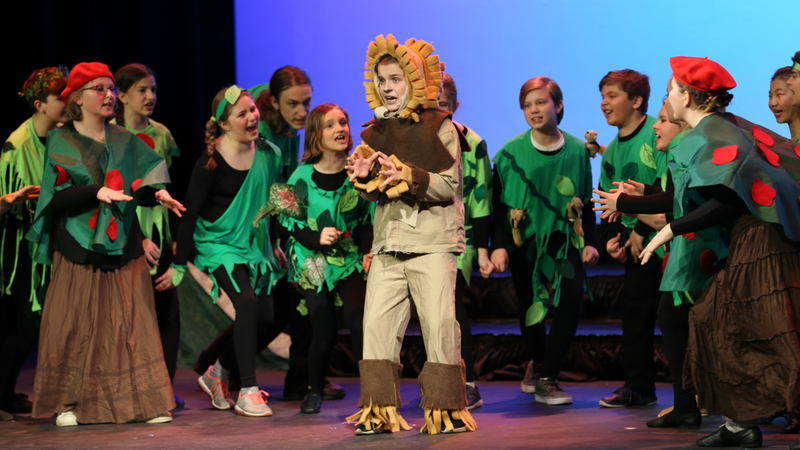 This Palatine Youth Theatre production will be given by students from Palatine Park District’s Acting Up class for ages 6 to 9 and the Class Act Youth Theatre class for ages 10 to 18. Performances will be offered at 7:00pm on Friday, April 12 and at 11:00am, 3:00pm, and 7:00pm on Saturday, April 13. Tickets are $8 in advance and $10 at the door. Tickets are available in person at the Cutting Hall Box office, 150 E. Wood Street; online at cuttinghall.org (additional ticketing fees apply for online purchases); and by phone at 847.202.5222. For more information about Palatine Youth Theatre or the Willy Wonka, Jr. production, contact Cultural Arts Coordinator Ashley Schiavone at aschiavone@palatineparks.org or 847.496.6237.